MTConnect: To Measure Is To Know Book Announced! 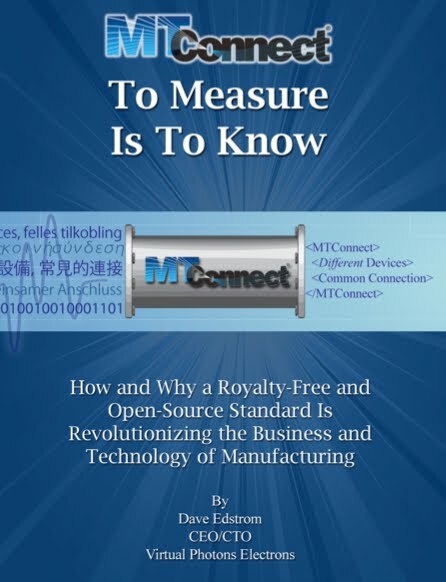 This book, MTConnect: To Measure Is To Know, answers the question, "how and why a royalty-free and open source standard is revolutionizing the business and technology of manufacturing." This is the world's first book on MTConnect and open systems. This book is not just about MTConnect, but it is first a book that discusses the many lessons learned in the world of open systems. Dave Edstrom has spent 35 years in the computer industry, where he worked at such companies as Sun Microsytems for over 23 years. 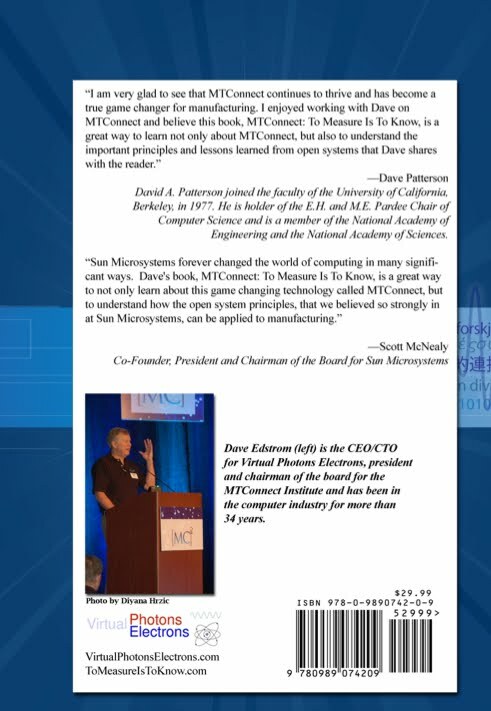 Dave helps the reader understand that MTConnect is not an evolution in manufacturing, but it is a revolution and a true game changer. MTConnect is making possible the dreams and desires of generations of manufacturers, machine tool builders and manufacturing equipment providers who all want to see the same goal of different devices having a common connection on the plant floor. Learn how and why the lessons of open systems are being applied to manufacturing and changing the business and technology of manufacturing with MTConnect. It is available at Amazon in paperback and in Kindle format, at Google Play aka Android as well as on iTunes at Apple.